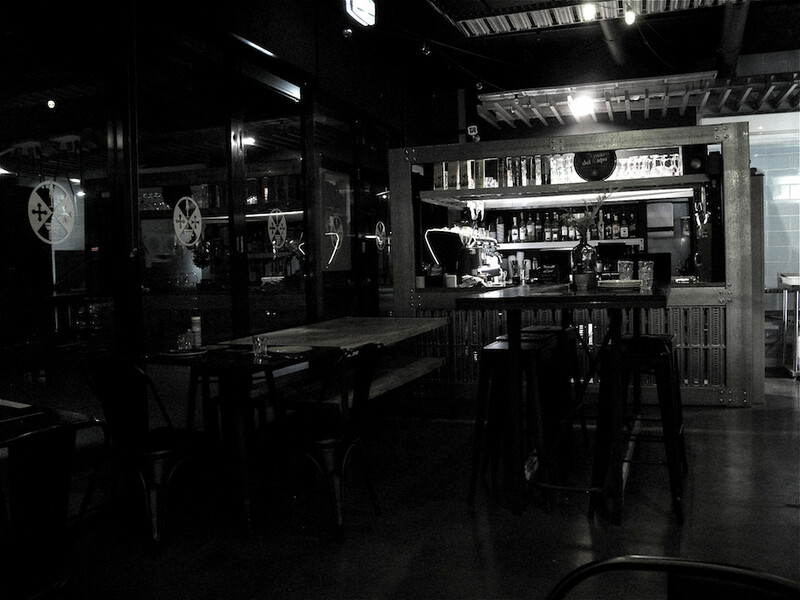 The western suburbs are quite well endowed with classy pizza places. One that appears to have flown under the pizza pie radar is Terminal 45 Woodfire Pizzeria, which is located down the hill from the Edgewater shops and pretty much right next door to St Burgs. Last time Bennie and I spied this joint, it was a sunny summer Sunday early evening and it was packed and firing. 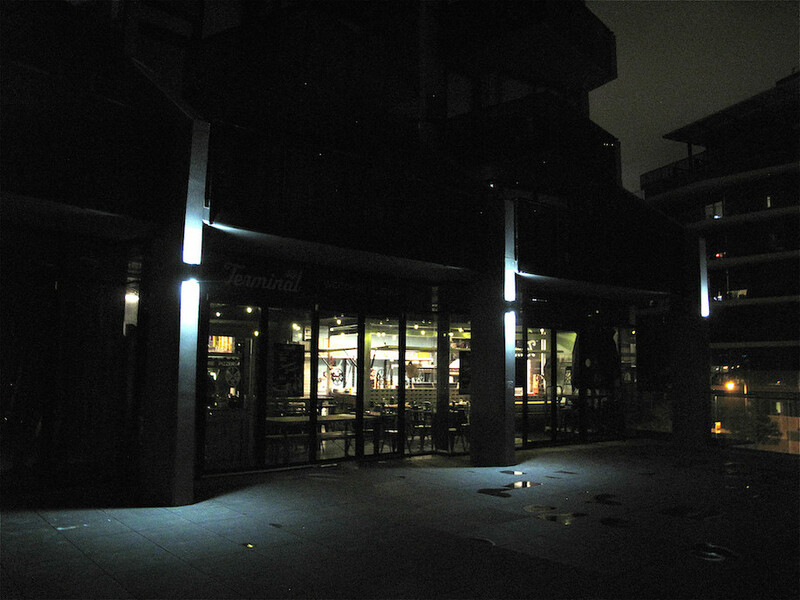 This time – urged on by a successful home pizza delivery and a friend’s hearty recommendation – we are back early in the week on a cold night and the scene is quite different. We are the only customers, though deliveries continue apace. Terminal 45 lists almost a couple of dozen pizzas, with what seems less on the menu by way of pasta and starters than most such places. 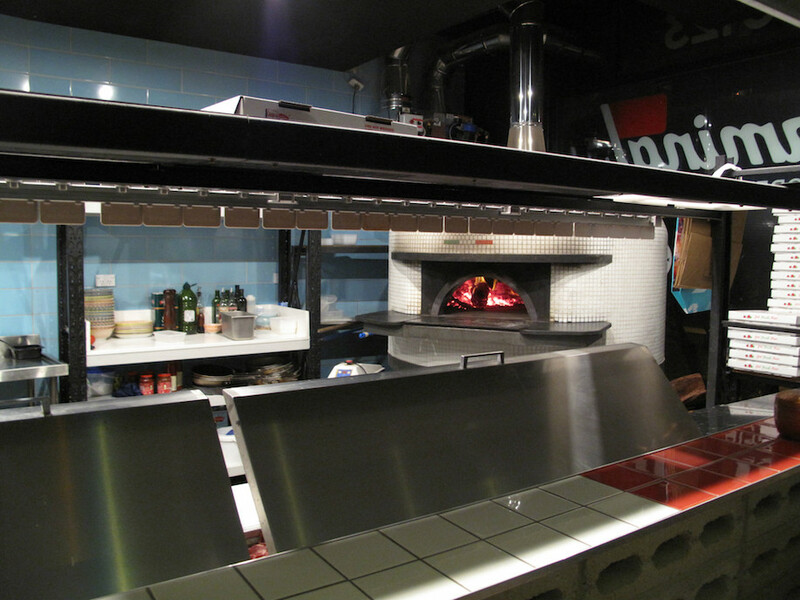 No matter – we are here for pizza. Caprese ($16) is like a salad on a pizza base, and thus an instant hit with my salad-loving son. It’s simple, tasty and rather magnificent – just uncooked mozzarella, cherry tomatoes, basil, olive oil. 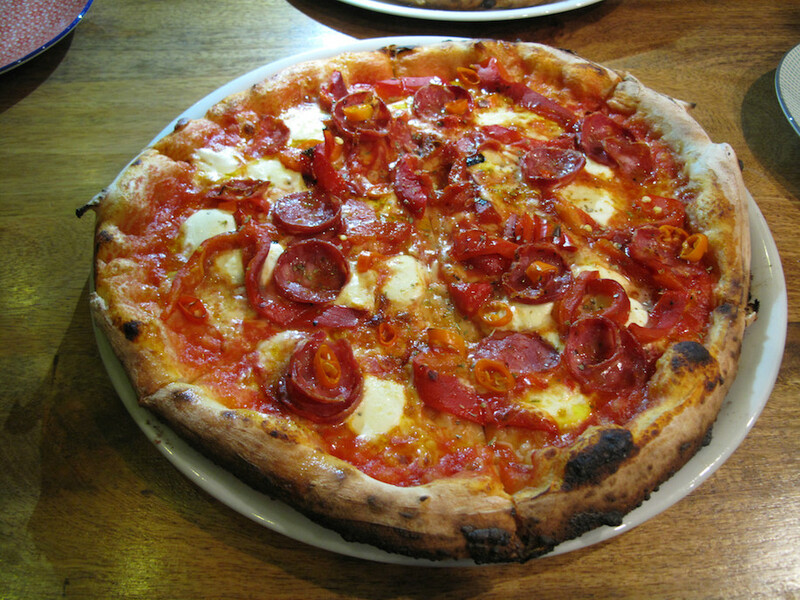 Piccante $16) has hot salami, roasted red capsicum, mozzarella and fresh chilli. It, too, hits our pizza spots right nicely. And not only do our pizzas please us, we note happily that the prices are a good dollar or two less than we regularly pay elsewhere. Your Caprese looks much better than the one we received when we ordered it. Our had three tiny pieces of cheese and two tiny basil leaves. Also the cherry tomatoes were added after the pizza was cooked and just fell off. Thin, soggy base too. With so many fantastic pizza shops in the area, we won’t be going back. Hi D! Sorry to hear that. 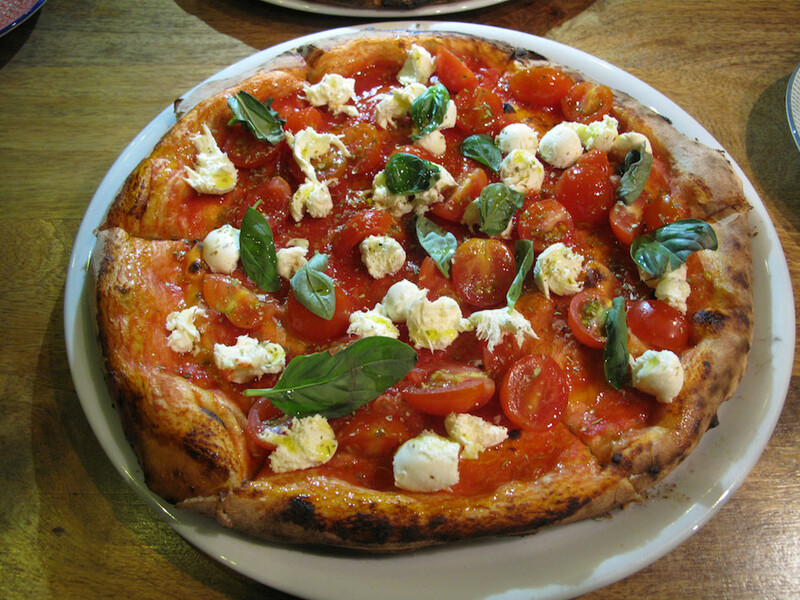 The idea with caprese pizza is that the toppings are NOT cooked! though it’s not a variety I’d get delivered as there’s no heat-induced adhesion! Hey have you been to Hanspoon yet? Am dying to go!